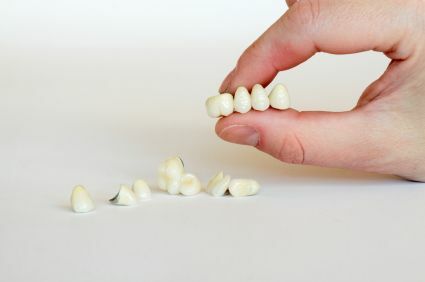 A Dental Crown restores cracked or decayed teeth. 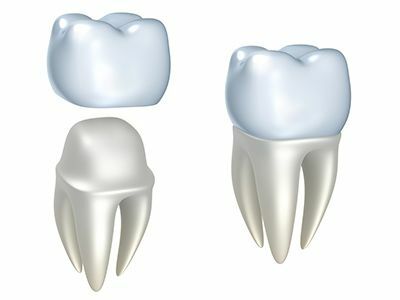 A crown (or cap) is a covering that encases the entire tooth surface restoring it to its original shape and size. 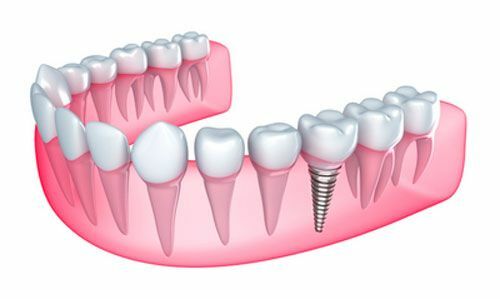 You can even get a new crown in one appointment with same-day dental crowns. 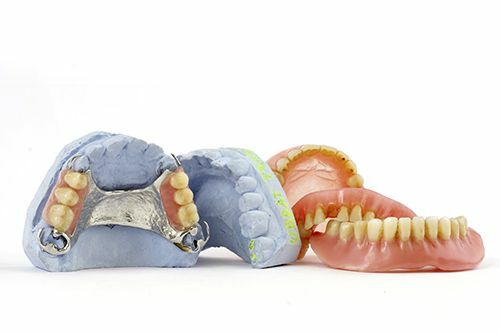 Complete Dentures are a removable prosthesis of white plastic teeth in a pink gum-colored plastic base that rests on the remaining gum ridge once all of the teeth in the arch have been removed. 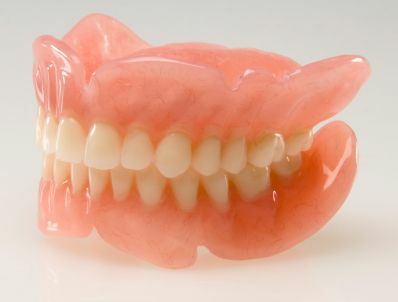 Partial Dentures are often used when only some of the teeth are missing. 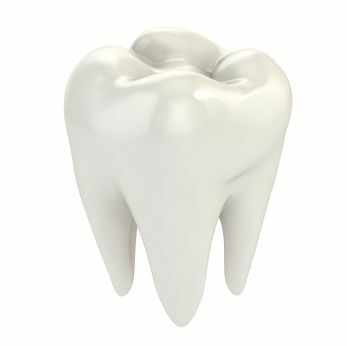 They allow missing teeth in the same arch (either the upper or the lower) to be replaced with one appliance. 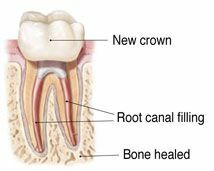 A "root canal" or endodontic therapy, is a procedure available to save a tooth that is infected and would otherwise require extraction. 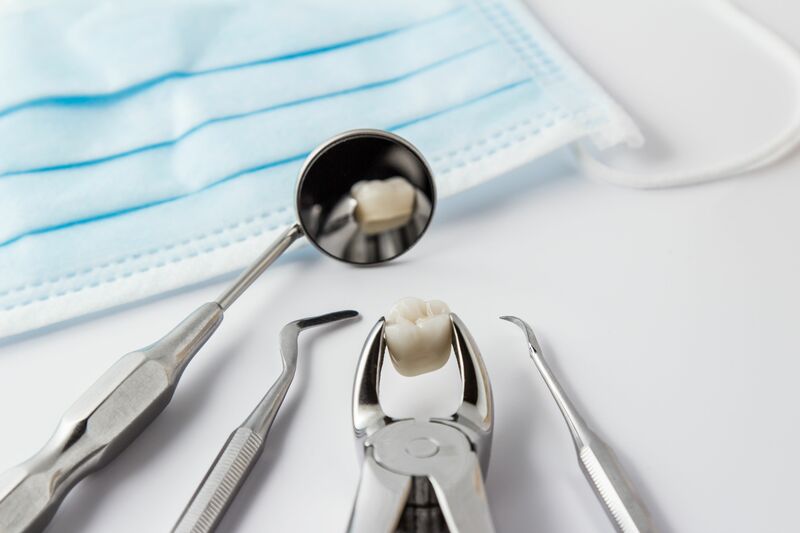 Normal TMJ function is essential not only for chewing and speaking, but for overall comfort in your jaw. 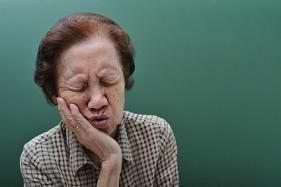 When your TMJ (temporomandibular joint) is misaligned, you may experience headaches, extreme pain in the jaw, and ear or sinus infections.